The Flame Trees of Thika: Memories of an African Childhood. 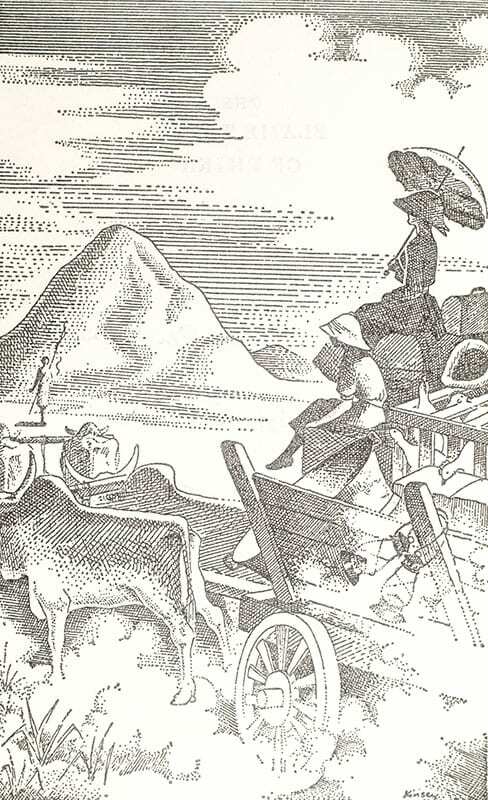 London: Chatto & Windus, 1959. 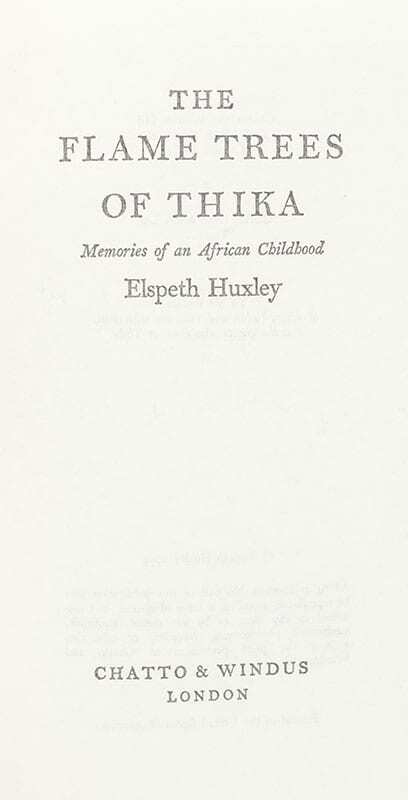 First edition of the reissue of Huxley’s autobiographical work based on her early life among white settlers on her father’s coffee plantation in Kenya. Octavo, original cloth, frontispiece. Presentation copy, inscribed by the author on the title page, “For Joe Ferrier, with all good wishes. Elspeth Huxley.” The recipient, Joe Ferrier was a lifelong friend of Huxley’s. They often exchanged letters, books, and article clippings between England and the United States. Also, laid are three typed letters signed by Huxley to the recipient. Fine in a fine dust jacket. Jacket design by John Woodcock. Elspeth Huxley prolifically wrote thirty books, but she is best known for her lyrical books The Flame Trees of Thika and The Mottled Lizard. Both are based on her experiences growing up in a coffee farm in Colonial Kenya. Her husband, Gervas Huxley was related to both Thomas and Aldous Huxley (Lownie, 2006). 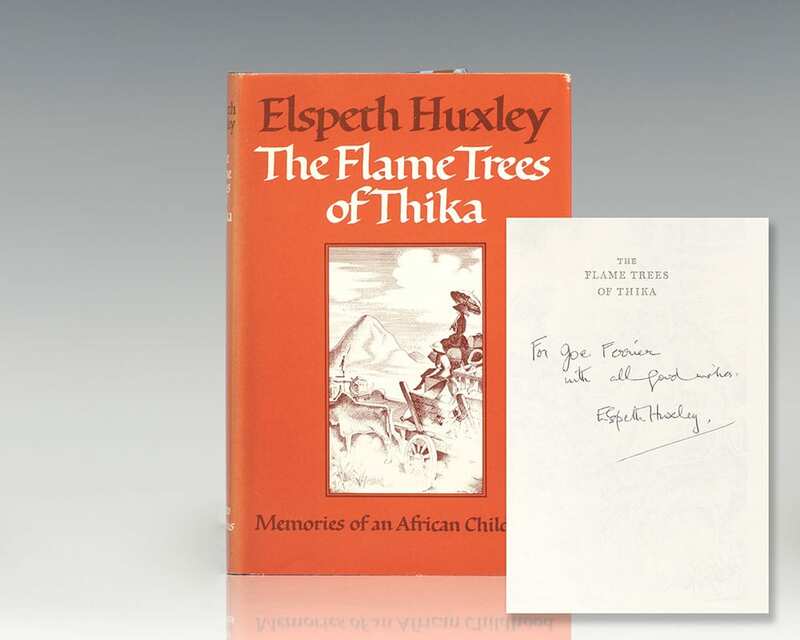 A year after the publication of The Flame Trees of Thika, Huxley was appointed an independent member of the Advisory Commission for the Review of the Constitution of the Federation of Rhodesia and Nyasaland. She was an advocate of colonialism early in life and later called for independence for African countries (Ibid.). In the 1960s, she served as a correspondent for the National Review magazine. It was later made into the well received television series originally airing in 1981. With Forks and Hope: An African Notebook. 1964: William Morrow & Company, New York. First edition of Huxley’s authoritative report on the rapidly changing political climate of post-colonial East Africa. 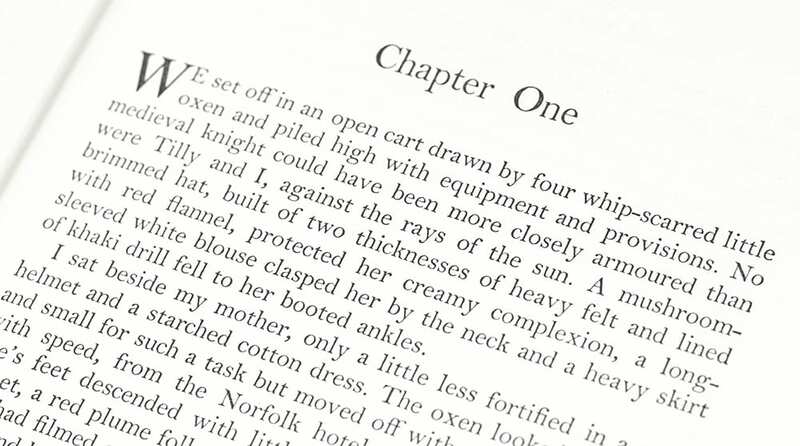 Octavo, original half cloth, illustrated with maps and drawings by Jonathan Kingdon. 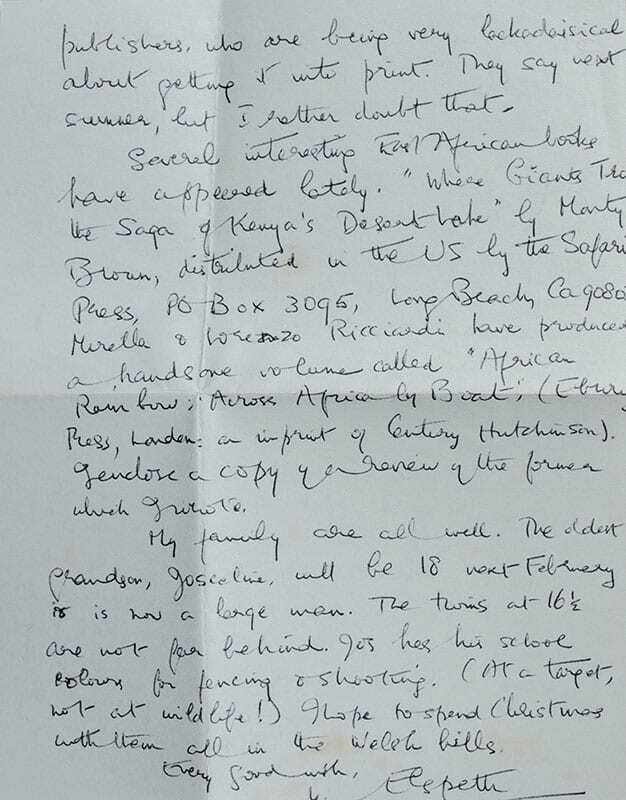 Presentation copy, inscribed by the author on the title page, “For Joe Ferrier with my best wished Elspeth Huxley.” Laid in is the original typed transmittal letter, an autograph card and photograph of Huxley; all three signed by her to Ferrier. The recipient, Joe Ferrier was a lifelong fan and pen pal of Huxley’s. They often exchanged letters, books, and article clippings between England and the United States. Near fine in a near fine price-clipped dust jacket. Jacket design by Harsh-Finegold. New York: Weidenfeld & Nicolson, 1987. 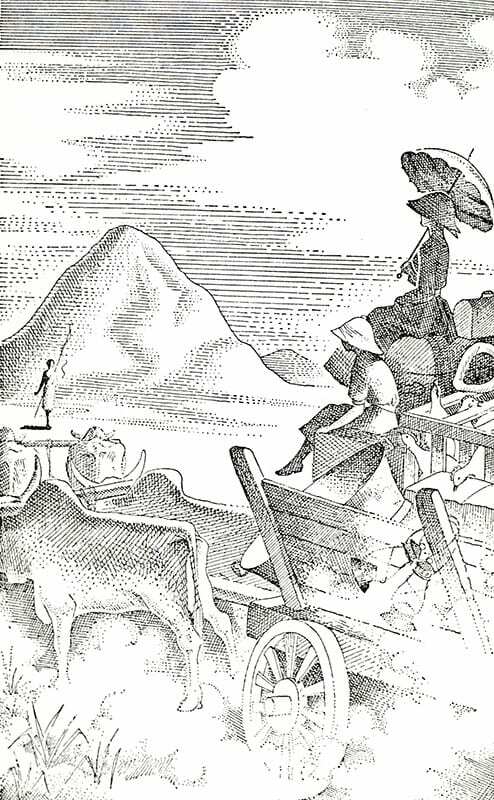 First illustrated edition of Huxley’s autobiographical work based on her early life among white settlers on her father’s coffee plantation in Kenya. Octavo, original cloth. Presentation copy, inscribed by the author on the title page, “For Joe Ferrier, with the highest regards. ‘Thou art unseen, but yet I hear thy shrill delight.’Shelley. 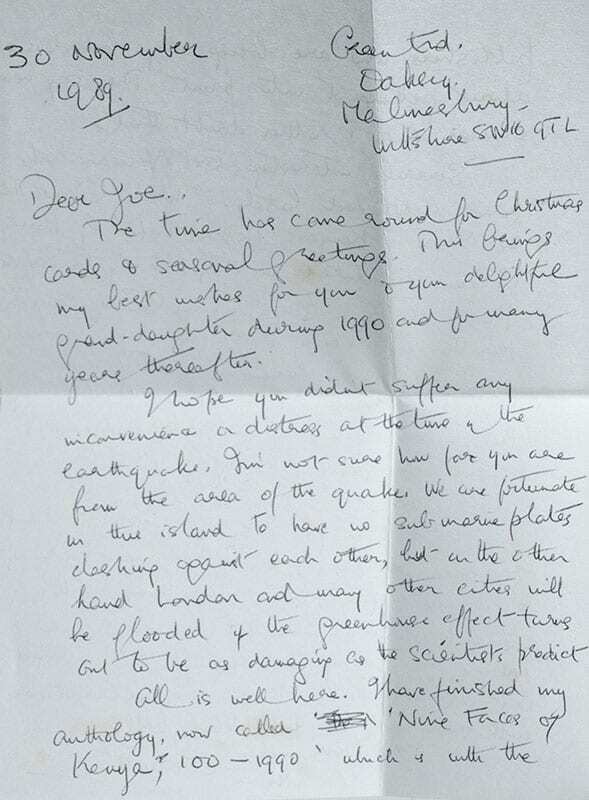 Elspeth Huxley.” Also laid is a two page autographed signed letter from Huxley to the same recipient. Fine in a fine dust jacket. Jacket design by David Fordham. Illustrated by Francesca Pelizzoli.